This is my first attempt at painting usagi-san, Mr. Rabbit, that is actually the car hood ornament motif of the the 1935 Nissan Datsun. It's also my first time painting something all chrome. While nowhere near perfect, I still wanted to finished it and share it today. How come you ask? Despite having lots of projects that I want and need to work on, I must first get usagi-san off my creative chest and hands. I have been wanting to paint him since I first laid my eyes on him at Tokyo Motor Show back in Nov 2013. The sketch has done earlier this year, but I never got around to blot and paint him until now. Also, not many people know of him, as the image of Datsun most people have recently is the cheap car Nissan produces mainly for the Indian and other emerging markets. I really want change that. 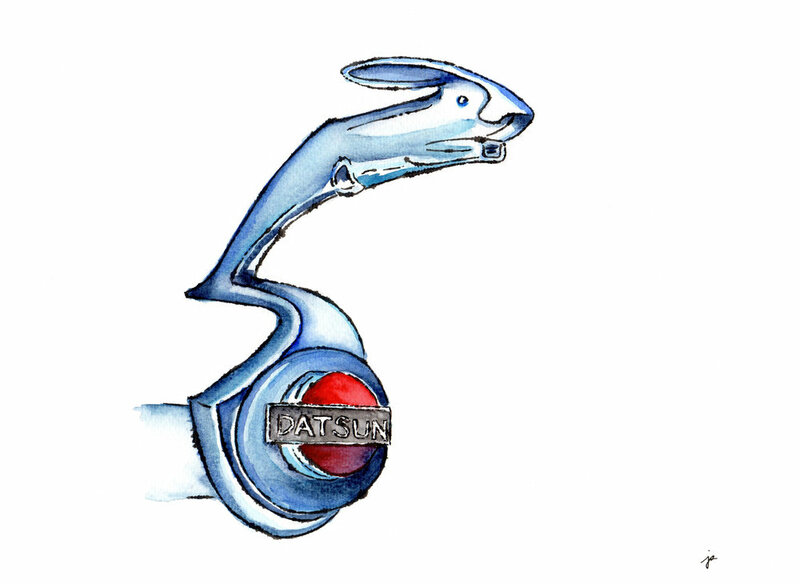 In those days, Datsun was one of the fastest compact cars, hence the use of a rabbit as the car hood ornament. 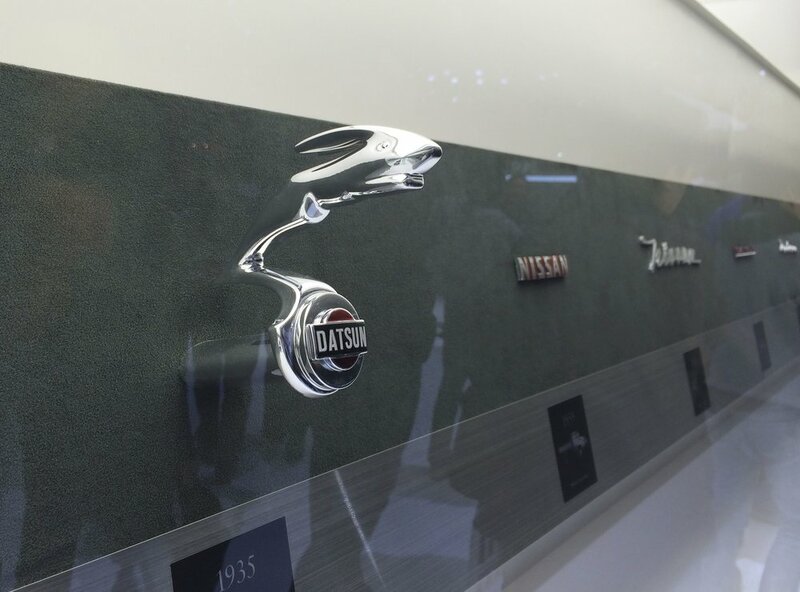 I learnt of this myself, at the Motor Show when a kind and patient Nissan staff explained its history to me. Of course, he is just to cute to be unknown! I really just finished colouring and scanning my beloved usagi-san. Unlike my other images I share here, I didn't even bother doing all my usual digital touch ups--I just adjusted the exposure, and got rid of some of the spots/paper texture.